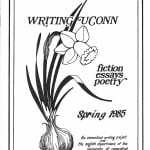 Below is an archive of Writing UConn, the undergraduate literary journal which was to become the acclaimed Long River Review, as well as the Teaching Assistants Training Seminar literary magazine. Writing UConn was distributed statewide through the Connecticut Writing Project. 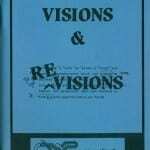 Their noted mission is to "put writing into the lives of students as a way of apprehending and responding to the world." The introduction asks for a more creative name and cover, and states the hope that the magazine will one day include graphics and drawings. In the second edition, the editors hope that "through the pleasure Writing UConn gives, all students will come to make good writing a real part of their lives." 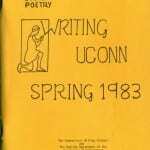 The 1984 edition of Writing UConn showcases the work of the talented Denise Abercrombie, who continues today to be an avid participant in CWP. 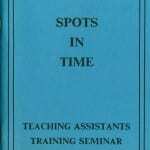 Her work is featured in this year's Teacher Consultant journal as an honorable mention. She currently teaches at E.O. Smith High School. 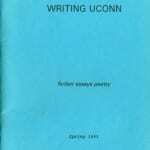 In the last year of his undergraduate career, Ken Cormier appeared in Writing UConn's 1991 edition. 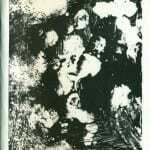 Later, in the 2004 edition of the Long River Review, he is noted as one of the Creative Writing Program Directors. Mr. Cormier served as the keynote speaker at CWP's 2009 biennial Student and Teacher Writing Conference. He is a professor at Quinnipiac University. 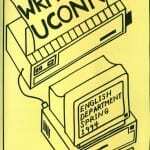 Our research indicates that there was no 1992 edition of Writing UConn, as the faculty advisor that year was ill. From 1983 to 1991, Writing UConn was funded by the Connecticut Writing Project and the English department at the University of Connecticut. From 1993 onwards, publication of Writing UConn was made possible by funding from The Aetna Chair of Writing, as well as the continued support of the English Department and the Connecticut Writing Project. After 1997, Writing UConn became the Long River Review. Please see the Aetna Chair of Writing website for more information. For more recent issues of Long River Review, the LRR blog, or to find out how to submit your work or get involved, visit the Long River Review website. 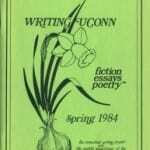 Writing UConn, Spring 1993 There was no edition of Writing UConn published in 1992.